Welcome to Sodimate ! 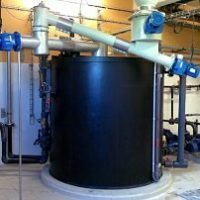 Your specialist for Bulk Storage, Discharge, Metering, Handling and Mixing Systems for Water or Air treatment applications. 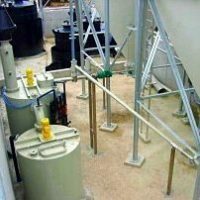 Over the past 30 years, Sodimate has been engineering and manufacturing for industries and municipalities more than 5,000 systems that store, discharge and convey bulk powders, and mix them with water or sludge. You can count on our innovative and custom designs to ensure high quality handling systems that provide reliability in your processes. Our systems can handle various powders and come with a dedicated team of engineers who guarantee customer satisfaction. Solutions such as Hydrated lime slurry systems , Soda ash slurry systems, Powdered Activated Carbon (PAC) slurry systems, are based on homemade designed equipment and our constant search for innovation. 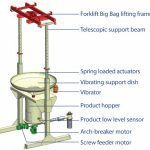 Sodimate is a leader in the bulk handling industry with its innovative 3-in-1 system: our patented DDS 400 mechanical bin activator discharge with new or existing silos (retrofit), and integrate an isolation slide gate and an accurate volumetric screw feeder. 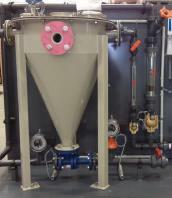 Leading to a more efficient and reliable control of the discharge, feed, and transport of the dry chemical/powder. 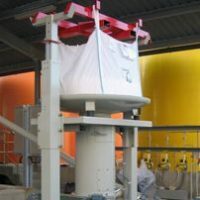 Our 3-in-1 bulk handling systems are much more economical when compared to purchasing equipment separately. 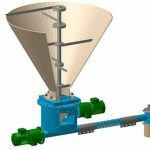 (Bin Activator + Isolation Valve + Screw Feeder). 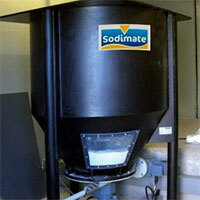 Sodimate uses gentle agitation, rather than vibration or fluidization, when discharging and feeding the dry powder. 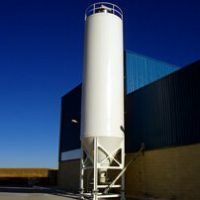 Vibrators mounted directly on bins or silos can cause issues such as compacting, bridging, and arching. 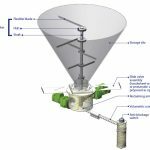 Our silo mechanical bin activator avoids such issues and prevents rat holing and erratic silo discharge often seen with air injection systems & vibration. We can design a completely new system or even improve your existing installation by studying your needs and optimizing your process. Upgrading a system (Retrofit) is beneficial to increasing accuracy without installing a new system. 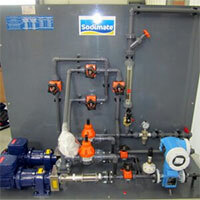 Sodimate team is constantly mobilized to offer you the best possible quality and assistance. Our team studies every request and develops the most adapted solutions since the first contact by provide personalized services including start-up assistance, on-site training (by request), troubleshooting and more. 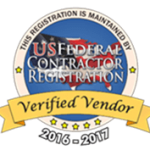 Request a consultation today via our contact form. 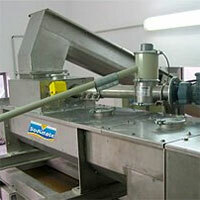 We selected Sodimate because of their superior technology and competency in the area of bulk handling of powder. They exceeded our expectations throughout the process and we are very satisfied with our bulk storage and material handling system ! After researching over 10 different suppliers, I found that Sodimate was not only the best choice in hydrated lime injection equipment but also the most flexible and customer driven company. Strongly recommend Sodimate for your leasing or purchasing hydrated lime injection systems.